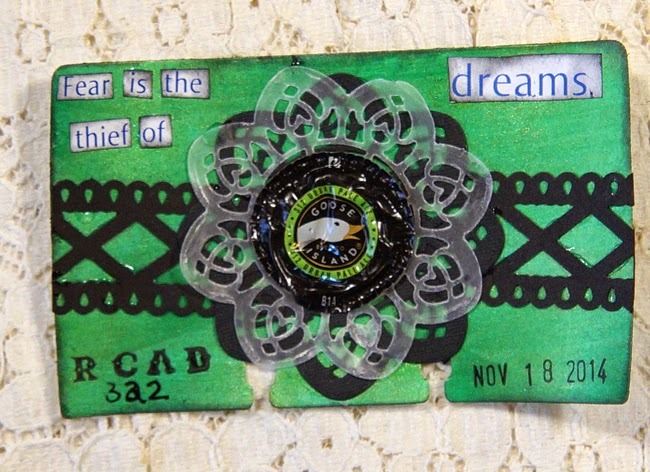 The inspiration for RCAD 322 came from a bottle cap. I really love the colors and the goose. I had some fun with an old punch and a new Spellbinder die. Thanks for stopping and for commuting. I really enjoy reading them. Love it Linda. What paint did you use? I couldn't catch it in time. Hope all is well. So glad to see your posts so I can keep in touch. Oh this is real cool Linda bottle caps seem to be making a revival, I have seen several projects using them, I used to save them but never got around to using them, love the goose and the frame.